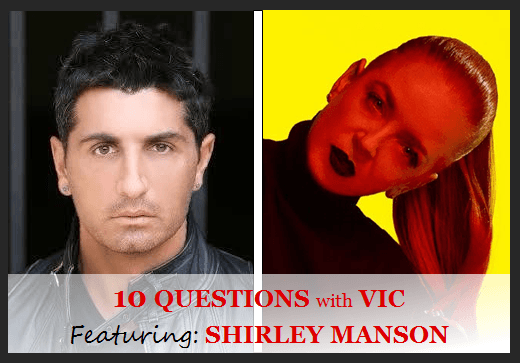 Shirley Manson epitomizes both the qualities of a classic Rock Icon and a contemporary rebel, always edgy and timeless. With over twenty-five years in the music industry as the lead singer of Garbage, a lyricist and a musician, Shirley has had exceptional successes, including double platinum albums with hits such as “Only Happy When It Rains,” “Stupid Girl” and “Vow.” But superstardom has not made her out-of-touch or complicit, as she is very vocal about social and cultural issues, always championing for the rights of the underdog, including female empowerment. I had the pleasure to interview Shirley while she was in LA from her native Scotland. Scottish, red-head. No further explanation necessary. You received the Icon Award at the VO5 NME Awards last year. How do you reflect on your illustrious career, spanning over twenty-five years? I can’t believe this is my life! It feels like it should have happened to someone else except it happened to ME. You have been ahead of the curb in more ways than one, about sexual orientation and gender roles with your song, ‘Androgny’, about owning one’s age, sexual liberation, LGBTQ Rights and more… Does it feel like we are fighting the same battles all over again? Do you see any improvements? I believe wholeheartedly in evolution. I think there are always some set backs to and push back against progress but progress always wins in the end. I just wish progress would happen faster. So many good people are still forced to suffer so. Fans are anticipating your 7th album sometime this year or early 2020. Can you share any news on that? Our 7th album is scheduled for 2020. We are spending the duration of 2019 working on getting it done! ‘This Is The Noise That Keeps Me Awake’, a biographical book on Garbage came out in 2017. How did the idea for the book come about? We wanted to put a book together for all the kids in our lives so that when we are all dead and gone, they will know what it was we did with our lives! LOL. Edinburgh, Scotland, where you were born, is such a magical and fantastical place that most of us dream of living. How is it living in Los Angeles and do you miss living in Scotland sometimes? I love Los Angeles dearly, but yes I miss Scotland. I miss the damp and cool climate. I feel overheated in Los Angeles all the time. Tell me about your fans when they recognize you in public? What is shared between us and our fans is sacred. I always feel honored when they are happy to see us. Sharon Van Etten, Cherry Glazerr, Kelsey Lu, Leikeli47. The World Wildlife Fund, Amnesty International, The Trevor Project, Move On. I never spill my secrets.